Would someone inform me please. Is Hibs’ Moroccan striker Abdessalam Benjelloun worth persisting with? We know he can play when he’s fit and when he appears to want to. Now I wasn’t at Saturday’s game against Inverness Caledonian Thistle so I’m commenting on hearsay. The general consensus appears to be that he’s unfit and many refer to his ‘attitude problem’. Obviously he can’t be absolutely match-fit, that’s accepted and appreciated, but by people’s comments his new leaner look of yore has disappeared. Around about the time of the Cup Final last March he looked lean and on-fire. His relationship with John Collins at that time seemed to be a very sound one too. One might suggest that he bought into Collins’ diet and fitness ideas wholesale and that it was benefiting his still inexperienced career. So what happened? Did he lose faith in Collins, was there a cooling in the relationship? One would have hoped that in spite of what some now think of Collins’ abilities, Benji might come to the conclusion that some of his ideas and tuition were clearly having a beneficial effect on his career? So to last Saturday then. John Collins has left and we have an old, and it should be said loved and respected Hibee in Mixu Paatelainen coming back to hopefully breathe new life into the team. Immediately Benji is given the opportunity that many have been demanding for some time. Another chance to kick-start his career under a new broom. What happens? Well Benji is clearly not up to the standard of fitness required for first team duties but we’ve already covered the potential reason for that in accepting his lack of match fitness so let’s move on. By many accounts Benji’s attitude on the field was poor during the game. Some state a lack of effort and also a few histrionics when he didn’t get the pass. I’ve variously heard his attitude described as ‘stinking’, ‘honking’ and a lot worse. Now as stated, I wasn’t at Easter Road to witness his display. I’m therefore not passing comment as such but rather asking a question or two. What is it with this guy? Does he just not care? Are the fans overreacting towards him? Is he destined to be another of those young enigmas that the game is thoroughly littered with? Benji doesn’t work hard enough whether it be in the first team or the reserves. It was posted on Hibs net that he told Gareth Evans to F*** Off when told to pick up the pace during a bounce game. Mixu was in ear shot and Benji was surely going to suffer for it. He is relatively newly wed and his wife is reportedly back home in Morroco. I don’t think that is a healthy situation for this young man to be in and I wouldn’t be at all surprised if it is having an affect on his attitude. When he is married he should be with his wife and if she has a job in Morroco which she can’t leave then he should find a club there. If he goes I’ll remember him with fondness remembering season 2006/2007 and conveniently forgetting 2007/2008. I’d agree that his domestic situation is not ideal and that it may well be having an effect on him. In the three months or so since I wrote those words his career appears to have gone even further backwards. I hear Hibs fans getting less and less patient with him and who can blame them? There has been little daylight in Benji’s situation in over a year now. Maybe it’s time to sever his connection with the club so that both parties can move forward. It’s surely a situation that can’t be allowed to continue for much longer. 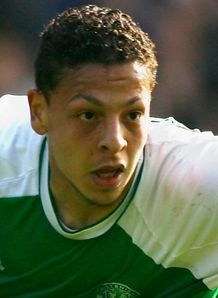 The reason that he didnt play for mixu was because he didnt like the way he was making hibs play, not because he was unfit, but hughes has said that he will be playing more attractive football with more skill and flair involved which is what benji wants and needs, so hopefully he will come back from his load spell, and have hibs on his mind rather than looking for another move. He also went seriously off the boil when John Collins was still around, Louis – a manager he had performed well for previously? Well, as we know Benji is (nearly) back again. He will have yet another opportunity to prove his detractors wrong. Let’s hope he does just that for Hibs’ sake. He’s going to have to grow up a little though. I think your question has been answered once and for all this week, Stuart.